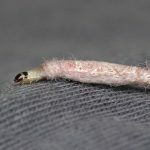 Although the specimen in this photo is pretty small, we recognize it right away…this is a carpet beetle larva. 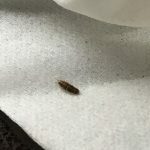 Carpet beetle larvae have nearly identical eating habits as case bearing clothes moth larvae, so it makes sense that they were discovered in the same place. 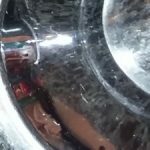 While neither of these household pests is actually dangerous or harmful, both can cause a lot of unwanted damage to household goods, so it is important that our reader get to work immediately in order to stop an infestation from occurring. 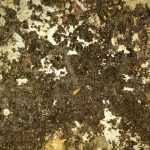 The first thing she needs to do is search for the primary food source for these larvae. 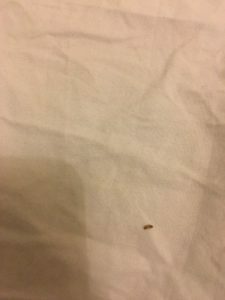 We think it is probably an item of her bedding set or her mattress since that is where she noticed the specimens. It could also potentially be something in the linen closet from which she got the sheets that she put on the bed. 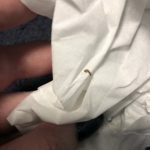 Anything she finds that shows signs of damage needs to be removed immediately and either thrown out, laundered or professionally cleaned since it might be full of additional larvae or eggs. 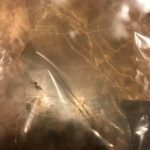 After all infested items have been taken care of, our reader will need to stick to a daily cleaning regime to eliminate all other eggs, larvae, and future potential food sources. This should include doing laundry, vacuuming, sweeping, and dusting. Although the daily cleaning might seem excessive, we promise it is worth it in order to not have a full-blown infestation on her hands! 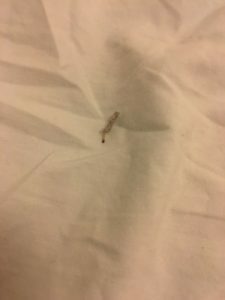 To wrap up, one of our readers discovered two specimens on her bed: case bearing clothes moth larvae and carpet beetle larvae. 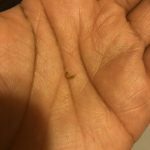 Both of these larvae are considered to be household pests, so it is important that our reader begin cleaning to get rid of them ASAP to keep the damage to a minimum. One of our readers discovered two specimens on her bed: case bearing clothes moth larvae and carpet beetle larvae. 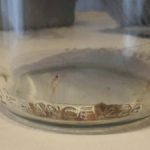 Both of these larvae are considered to be household pests, so it is important that our reader begin cleaning to get rid of them ASAP to keep the damage to a minimum.